One pouch pocket which work great as hand warmer. Superman smallville logo on the chest to make you stand out as a true Superman fan. I recommend the clothing using the sizing chart that is provided. I found it very useful while ordering the hoodie. The measurements helped in getting the right size. I bought the black colored one and very satisfied with it. The jacket was impressive truly. I am not a huge superhero fan but still wear it frequently. The Superman Hoodie is inspired by from the Smallville series. It has the Kryptonian symbol for hope logo that is made across the center of the chest area. 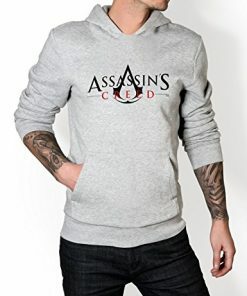 This Black Pullover Hoodie For Men is black in color and crafted from cotton and polyester. It consists of a pouch pocket as well as a hood with adjustable strings. 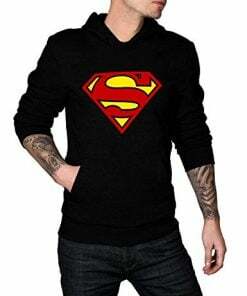 Overall the Superman Sweatshirt gives trendy looks when worn.